﻿ Best Price on Casa Caletas Boutique Hotel in San Francisco de Coyote + Reviews! 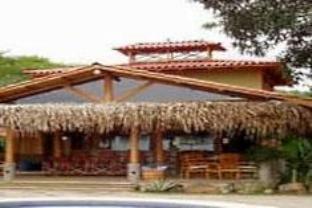 Featuring an outdoor pool and restaurant, Casa Caletas Boutique Hotel is located in Bejuco. This accommodation offers a bar, garden and shared lounge. Free WiFi access is available. Each room at Casa Caletas Boutique Hotel provides a flat-screen cable TV, desk and balcony. Featuring a bath or shower, private bathrooms also include free toiletries. Linens and towels are also provided. The hotel offers an array of amenities, including a TV area and daily maid service. The property offers free parking.